In California’s Central Valley, 100 miles east of San Francisco, the San Joaquin and Tuolumne rivers meet. Their waters mingle amid a wide flat plain of shrubs, cottonwood and oak trees. The Dos Rios Ranch Preserve, 1,600 acres of wetlands, river habitat and rolling hills, sits at the site of this juncture. On clear days, the Sierra Nevada rises in the east and the Coast Range to the west. Promoting floodplains as a way to refill aquifers, reduce risk from flood damage, re-create wildlife habitat and filter pollutants. As Jason Faridi surveys the scene on a recent early morning, the sun's rays reflect off the river, turning the water the color of egg yolks. A cacophony of bird calls fill the air. Near the water’s margin, waxy milk cartons — cut in half to hold seedling plants — bob up and down. They contain young elderberry and cottonwood plants, stretching their roots toward the clay river bottom. It will take a couple more years for these replanted natives to reach maturity at Dos Rios, the largest floodplain restoration project in the state. After six years of work and $40 million in funding, the riparian habitat flooded for the first time this winter, after strong February storms and the waters could sustain all the way through June. Faridi is with River Partners, an environmental nonprofit based in Chico that focuses on restoring floodplains and wetlands. After years of battling the frequently flooded land, the Lyons Family, previous owners of the Dos Rios Ranch, decided to sell the property. River Partners and the Tuolumne River Trust raised funds to buy the ranch over a period of 10 years. The nonprofit took down agricultural berms — raised barriers of land engineered to prevent flooding — to reconnect the floodplain to the river. River Partners has planted over 200,000 native plants, which naturally store floodwaters and release them slowly back into the river, protecting nearby communities. So far the group has restored 600 acres of Dos Rios Ranch, and are currently working on 700 more acres. The nonprofit points to floodplains as a key way to refill long-tapped aquifers, reduce risk from flood damage, re-create wildlife habitat and filter pollutants. When a wild river floods, water and sediment spills over its banks onto adjacent land, it builds up a natural floodplain. Floodplains allow a river's high flows to spread out and slow down, forming temporary reservoirs that pool over the rainy season. That means more water percolating down into underlying aquifers — a layer of permeable rock, sand, gravel and silt that stores water — and less floodwaters barreling toward cities. Low points on a floodplain, or swales, also serve as food chambers for fish. For much of the last century, standard practice in California has been to channelize rivers, choking off high flows from their natural floodplains, in an effort to protect crops and cities. But that convention is evolving. In his state-of-the state address this February, Governor Gavin Newsom vowed to expand floodplain habitat in the Central Valley. This is one approach California is investing in to increase groundwater storage and reduce flood damage. Recent storms have wiped out California's recent drought. But, even if surface waters are aplenty, in many parts of the state groundwater levels are still at all-time lows. About 85 percent of Californians depend on these underground water-storage chambers for some portion of their drinking water. 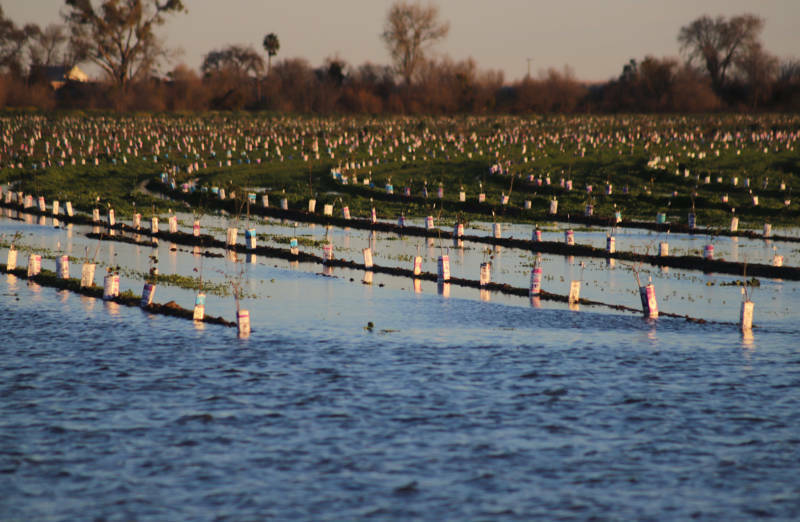 Although floodplains take land out of commission for growing crops or raising livestock, some people hope restored floodplains will benefit agriculture in the long run as a natural water storage system. “It's a win for the environment and it's a win for agriculture because that means you're maintaining more water for those drought years," says Jake Wenger, a Modesto farmer of more than 40 years and a former irrigation district board member. A floodplain's layer-cake of clay, sand and gravel may also prove effective in filtering water pollutants. In the San Joaquin Valley, more than 1 million people cannot access clean drinking water owing to agricultural pollutants, such as nitrates and pesticides. “To be able to create areas where we are adding to freshwater supplies is one of the goals of our projects,” says Terrel Hutton, of River Partners. The Dos Rios operations manager, Stephen Sheppard, estimates that when the restored plains flood, the waters are anywhere from 1 to 10 feet deep. Quantifying how much of these floodwaters enters the underlying aquifer will be the aim of a research project River Partners is working on with Lawrence Livermore National Laboratory. Still, Jeffrey Mount, former director of the UC Davis Center for Watershed Sciences, expects the amount of water seeping into the aquifer will be low. “Natural floodplains have clay rich soils,” says Mount, currently a senior fellow with the Public Policy Institute of California. 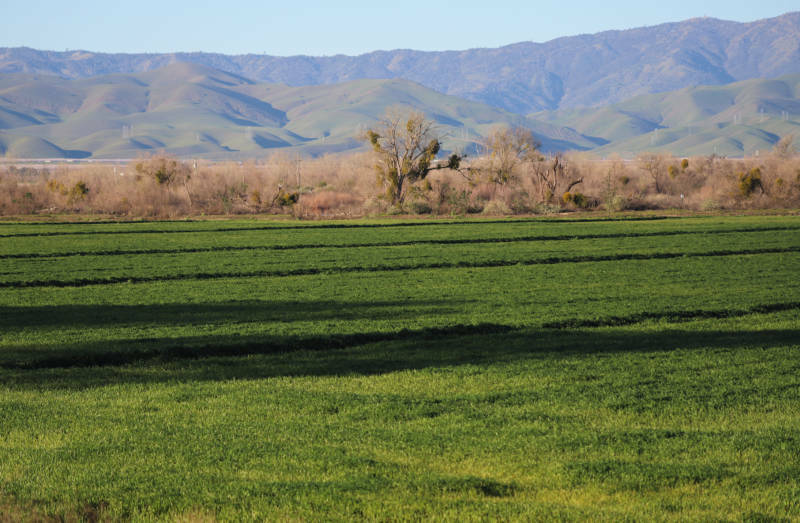 “You often don't get really good recharge in those areas, because you have to let water sit for a very long time.” The Central Valley is riddled with “boom and bust” cycles of rainfall and drought, and Mount says sustaining floodplain habitat may be challenging. But the area is prime real estate for this restoration. “Because we have not urbanized those floodplains,” says Mount. 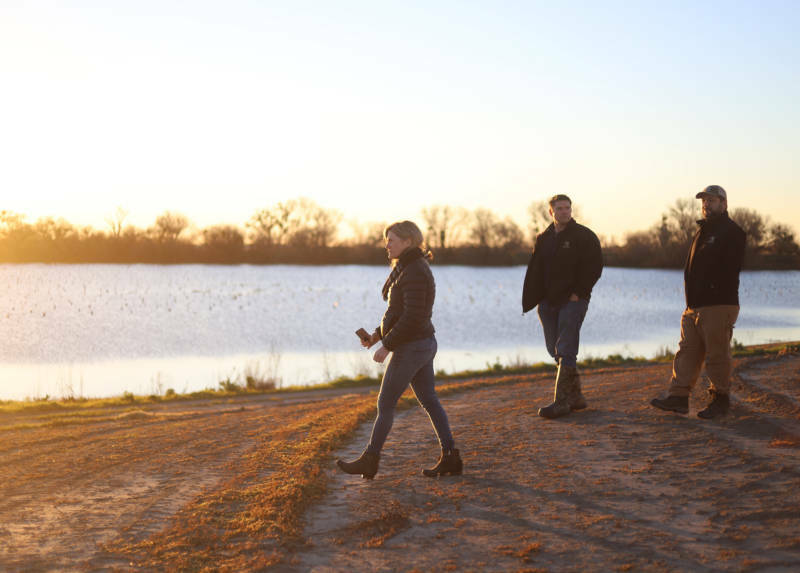 River Partners has completed four riparian habitat restorations in the Sacramento Valley, and Mount says that is another area ripe for further floodplain renourishment. Around the state about 25 restoration projects are currently underway, estimates Julie Rentner, who leads project development at River Partners. Dozens more are in the pipeline, she says. The long-term impact that restored floodplains could have on bolstering California’s water supply is, for now, unclear. And it’s not a water-storage solution that’s viable in every part of the state. Up to 130,000 native plants such as California wild rose, blackberry bush, and trees like willows and oaks have grown at the ranch since the floodplain restoration began six years ago. This newly created habitat provides shade on the river, lowering its temperature and allowing fish, such as steelhead trout and Chinook salmon, to fatten up before making their way to the ocean. Dos Rios has even welcomed back federally endangered species, such as the riparian brush rabbit, whose habitat was wiped out when the land was used for farming.